YOUR BROKENNESS IS WELCOME HERE. 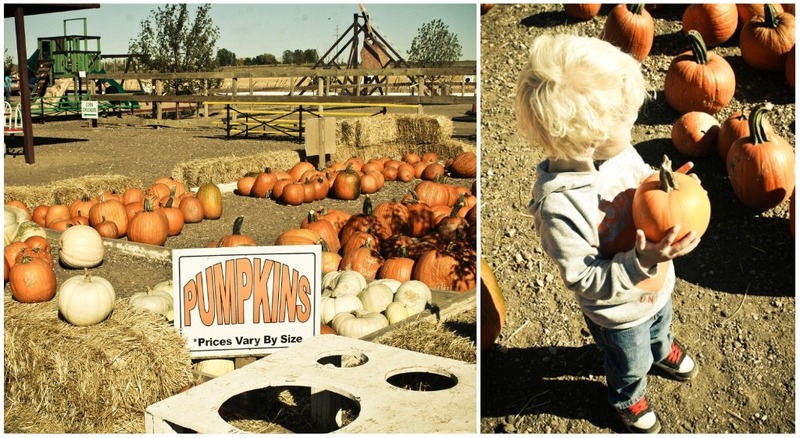 a trip to the “punkin” patch. 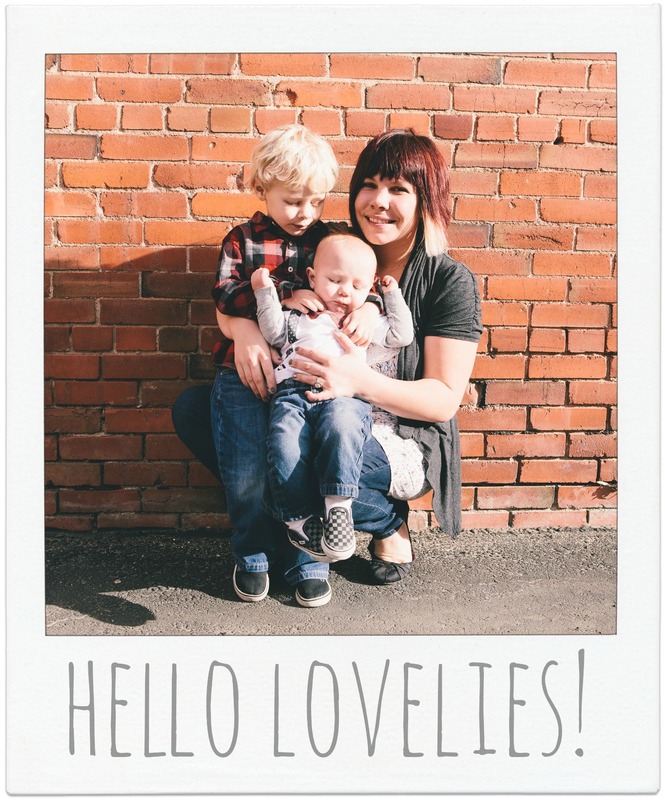 Can you tell I’m trying to cram in as much as possible on the blog before Boy S comes?! 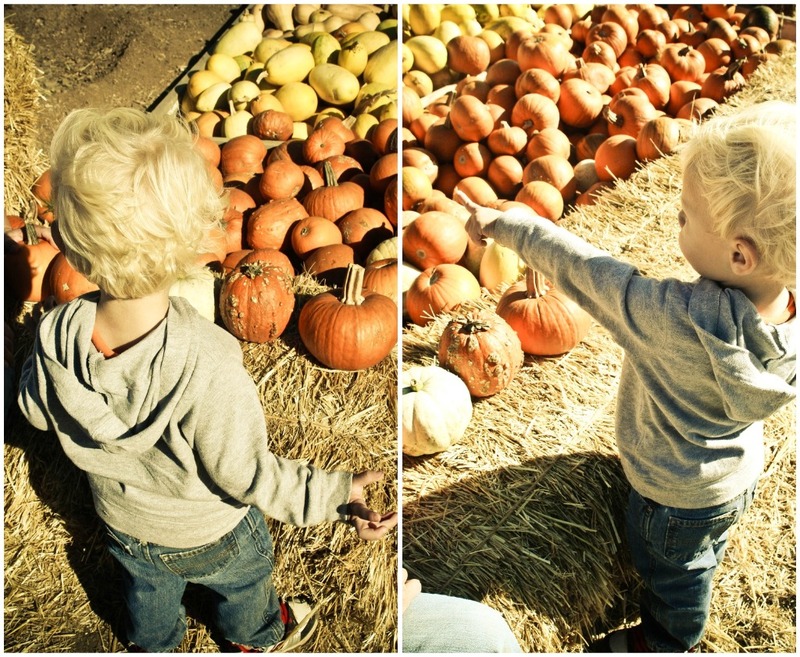 Each fall since Chase was just 3 months old, we’ve traveled to a nearby pumpkin patch called Harvest Farm. The past 2 years we’ve taken the same photos in the same spots. I just love things like that ;) However, this year we drove out to the Harvest Farm to find it had closed (for that day). 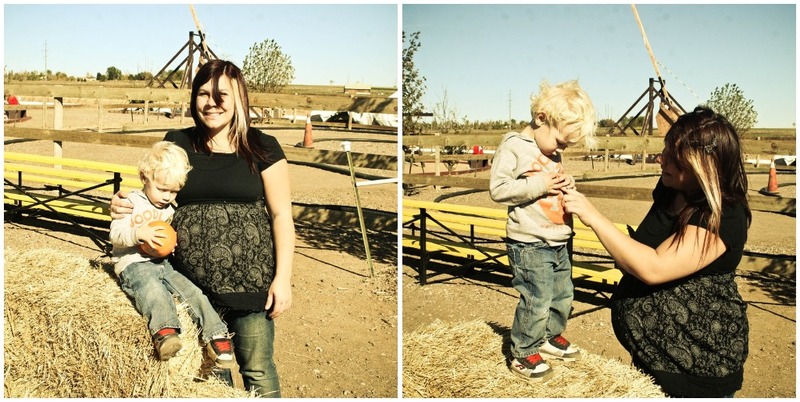 So we ventured to another pumpkin patch because Chase was excited to pick our a “punkin” to paint this year. We’re planning on heading to the Harvest Farm by the end of this week and this time with Ted! 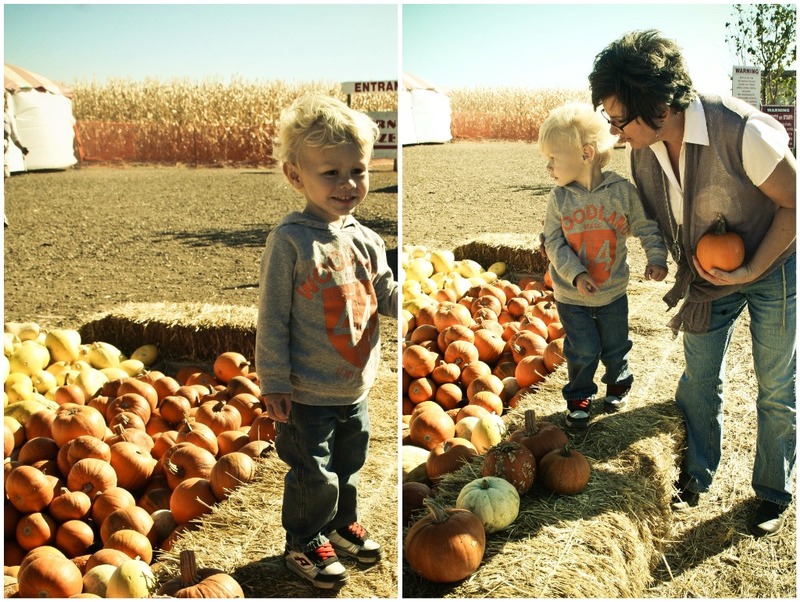 But I still wanted to share some from the pumpkin patch trip last week with “MiMi”. 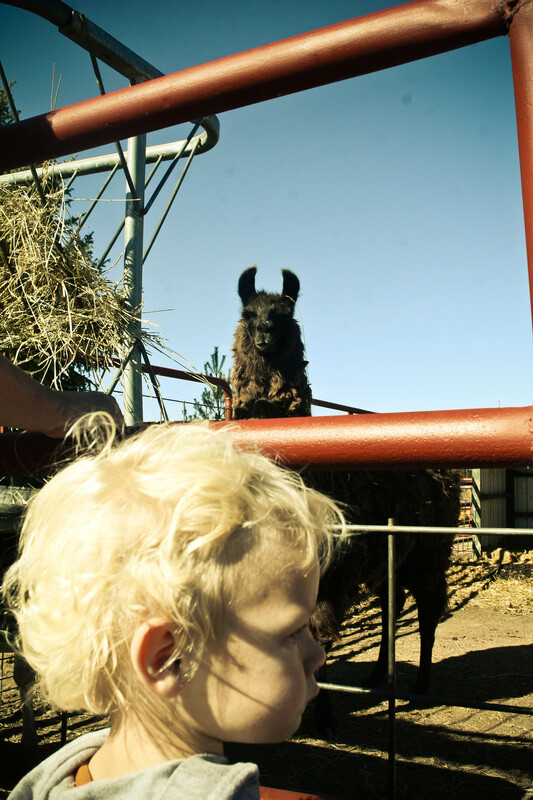 Chase met a Llama for the first time. Bouncy house fun. 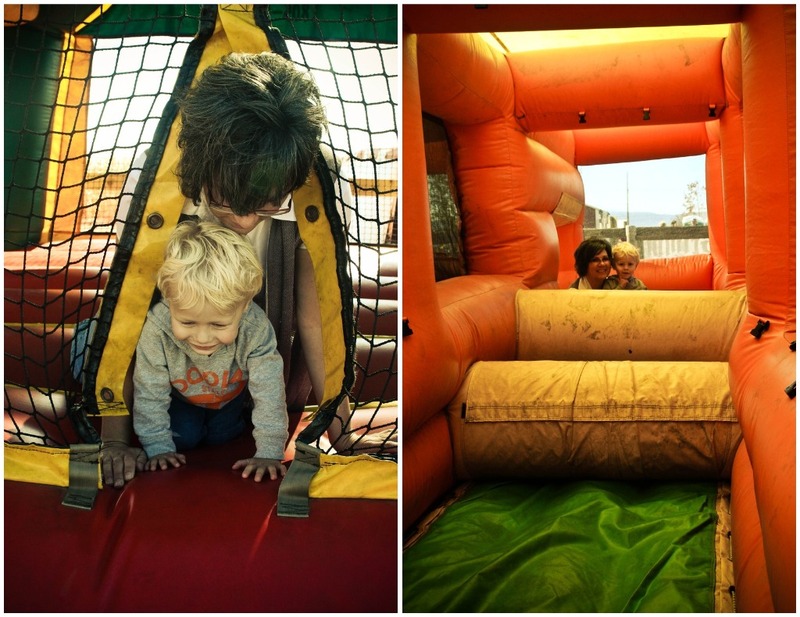 I seriously almost, ahem, wet my prego self laughing when my mom fell in between an obstacle and the jumpy house itself. Seriously wish I would have captured that on camera! Chaser-Boy really wanted to join in with the big kids on the pedal bikes. Maybe next year buddy! Trying to get a photo of momma and Chase. Attempt One: Windy and Chase refusing to look at the camera. Attempt Two: Distracted by a lady bug. 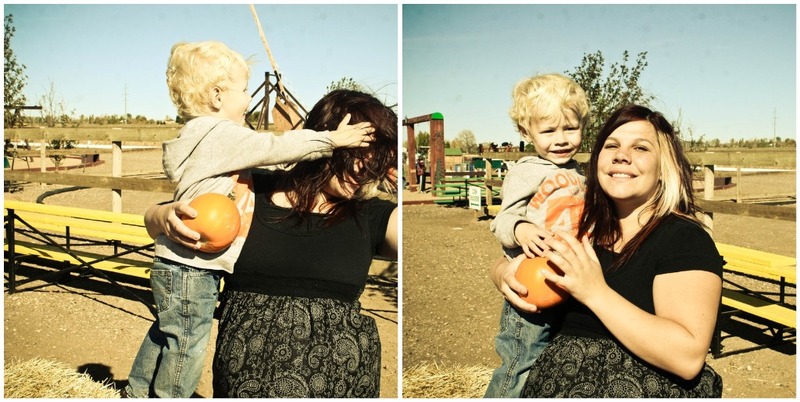 Attempt 3: Chase decided he needed to fix my hair for the photo. Attempt 4: Finally a smile from Chase (and an extra cheesy one from momma). Chase picked out what he called his “baby punkin'”. Then lined up different colour and textured “punkins” to count them. We had a good time and he has proudly shown many family members his “baby punkin”. I called pumpkins punkins until a few years ago. Seriously thought that’s what it was. He’s so cute, Jami. So So cute! So cute! It seems like an awesome family day!